OK . . . many people may not think that giving your child cloth diapers is a fun Christmas gift. But I think, judging from Mr. Smiley’s face and the fact that he played with his new present for 20 minutes or more, that he liked his new diapers. Check out 5 Minutes for Mom for other Wordless Wednesday moments! Can I Have a Tall Glass of This? *swing on by my space, I am hosting a mega giveaway extravaganza this week! 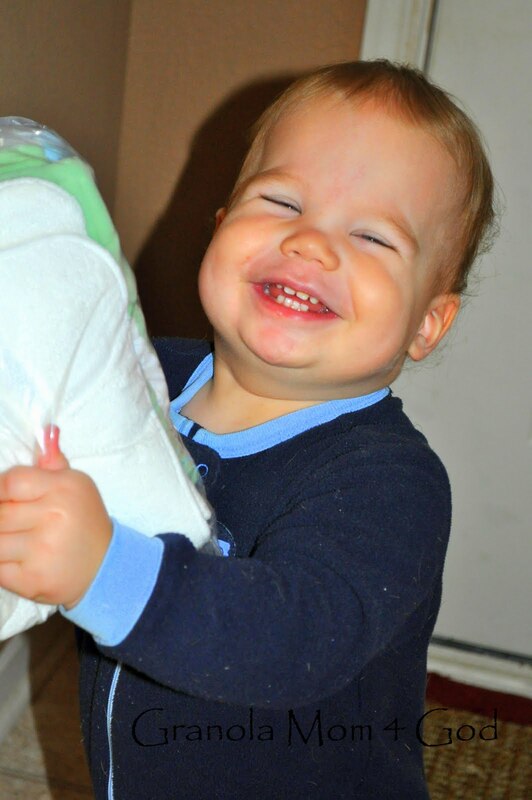 That is such a cute photograph of Mr. Smiley…got to love cloth diapers!